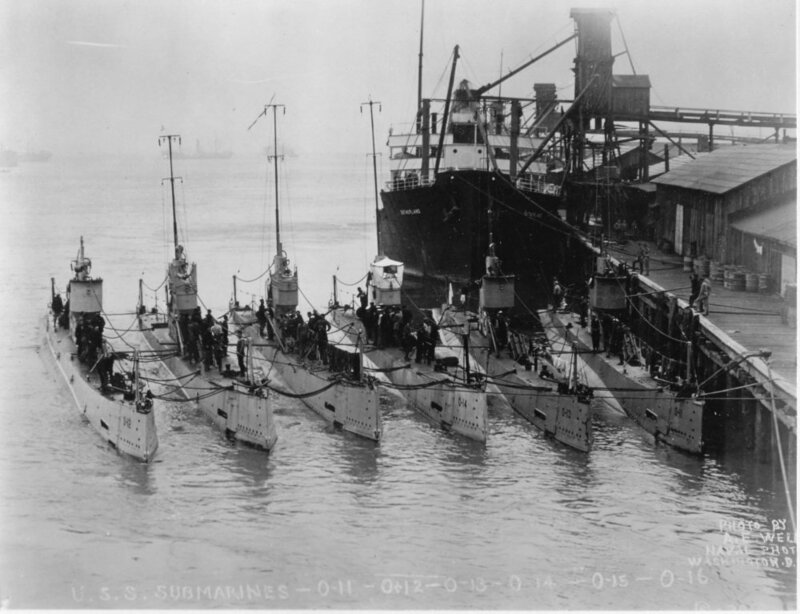 Specifications: Displacement, surfaced: 491 t., submerged: 566 t.; Length 175'; Beam 16' 7"; Draft 13' 11"; Speed, surfaced 14 kts, submerged 11 kts; Operational Depth Limit 200 ft; Complement 2 Officers 27 Enlisted; Armament, four 18" torpedo tubes, eight torpedoes, one 3"/23 deck gun; Propulsion, diesel-electric, Busch Sulzer Brothers Diesel Engine Co., diesels, 1,000 hp, Fuel Capacity, 18,588 gal. ; Diehl Manufacture Co. electric motors, 800 hp, Battery Cells 120, single propeller. 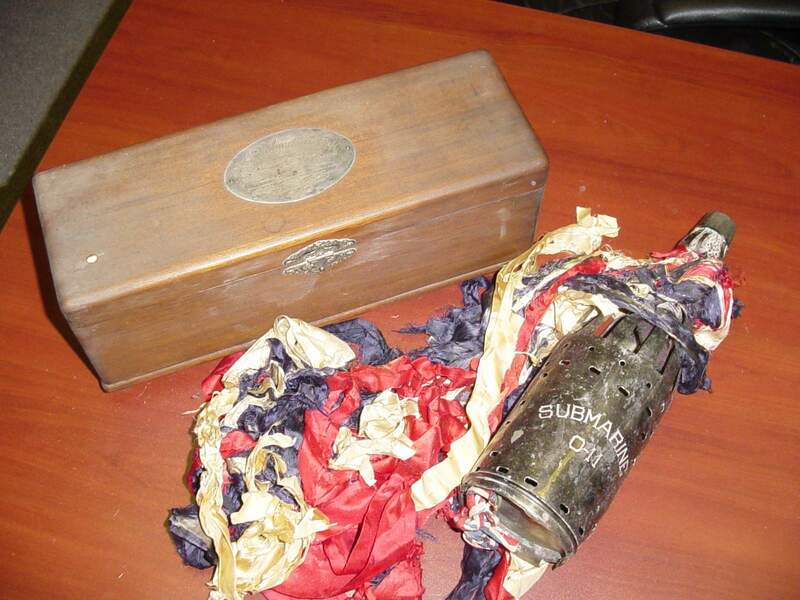 208k Bottle & presentation case from the launch of the O-11 (SS-72) , 29 October 1917. Photo courtesy of George K. Chastain, Executive Director of The Belle W. Baruch Foundation. 293k Inscription of the presentation case from the launch of the O-11 (SS-72) , 29 October 1917. Photo courtesy of George K. Chastain, Executive Director of The Belle W. Baruch Foundation. 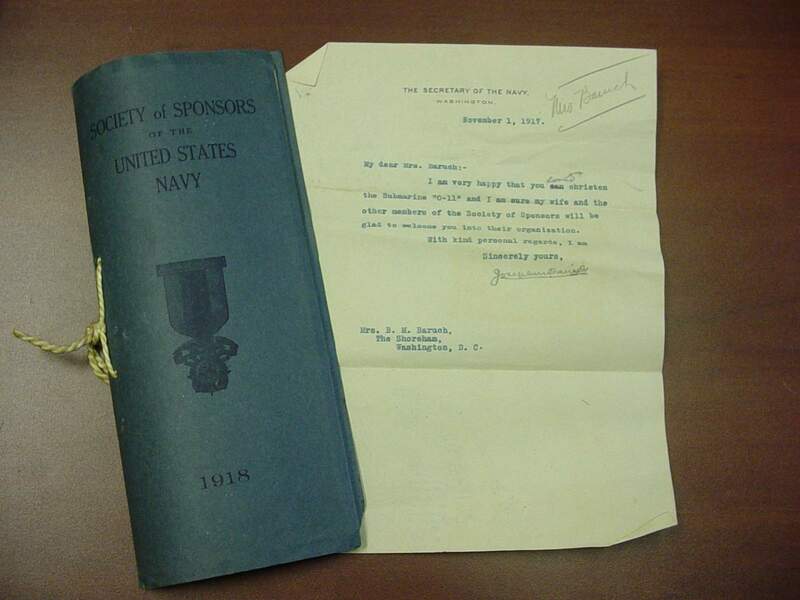 154k The letter from the Secretary of the Navy, Josephus Daniels to Mrs. Baruch on the occasion of the christening of the O-11 (SS-72), 1 November 1917. Photo courtesy of George K. Chastain, Executive Director of The Belle W. Baruch Foundation. 86k Sponsor photos of the O-11 (SS-72) are hard to come by (perhaps non-existent). 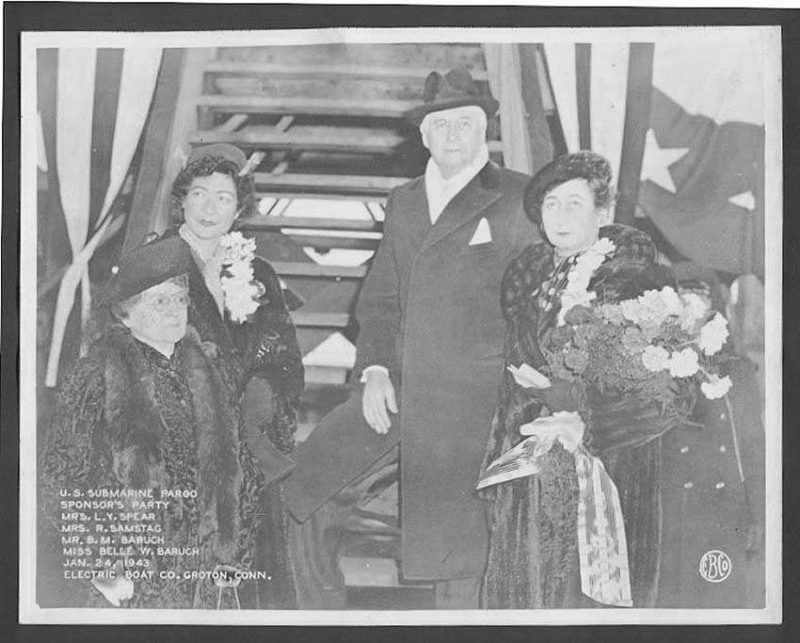 The O-11 was launched by Mrs. Annie Griffen Baruch. 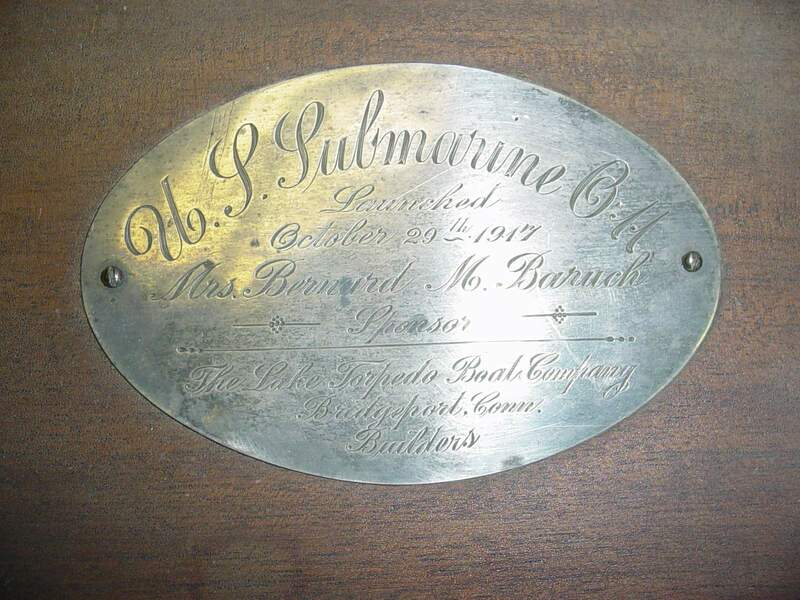 Her daughter Miss Belle W. Baruch sponsored the launching of the Pargo (SS-264) 25 years later. Mrs. L. Y. Spear, R. (Rene) Samstag, Financier Bernard Mannes Baruch & Miss Belle W. Baruch, on 24 January 1943 at the Electric Boat Co., Groton, CT. Electric Boat photo courtesy of George K. Chastain, Executive Director of The Belle W. Baruch Foundation. 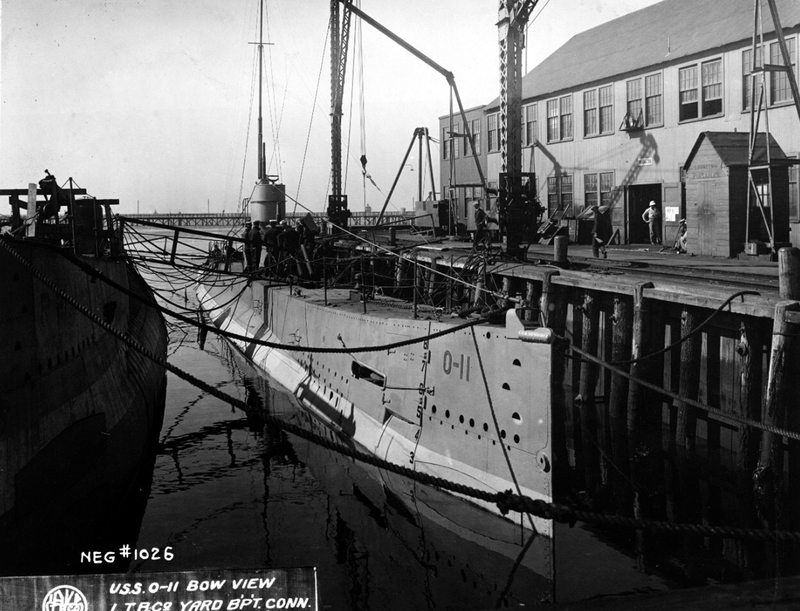 113k O-11 (SS-72) fitting out at the Lake Torpedo Boat Company shipyard, Bridgeport, Connecticut on 8 July 1918. Note the Lake T.B. Co. logo in the lower right. U.S. Naval History and Heritage Command Photograph # NH 44549 submitted by Robert Hurst. 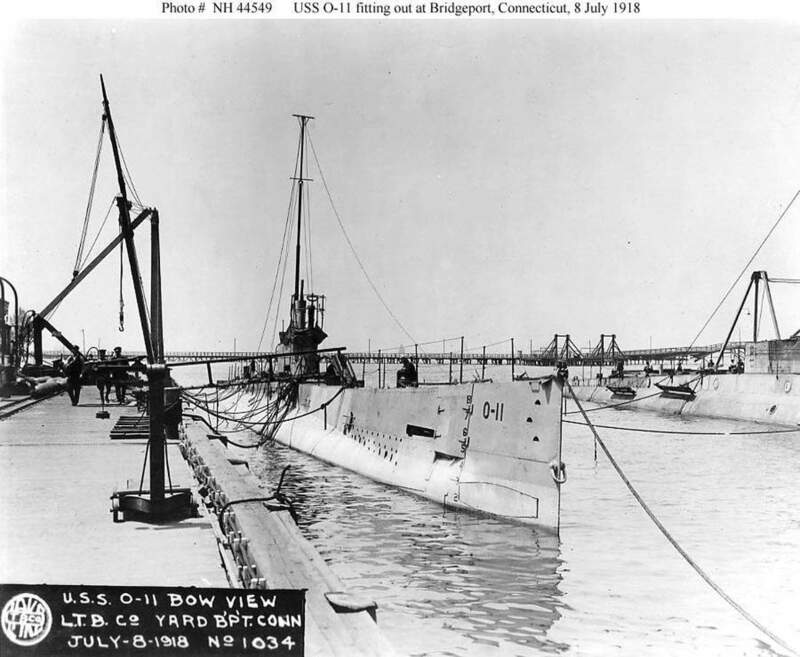 850k O-11 (SS-72) fitting out at the Lake Torpedo Boat Co., Bridgeport, Connecticut, July, 1918. 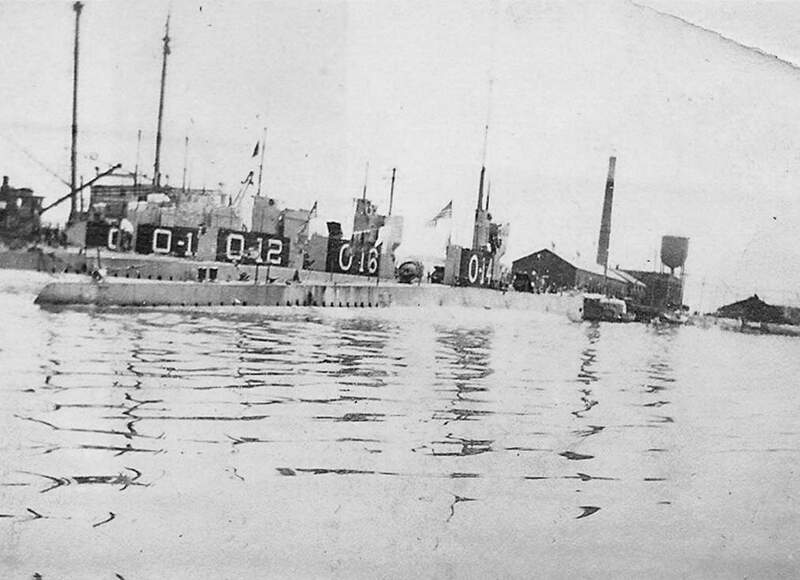 R-21 (SS-98) is fitting out at left. Source: Naval History and Heritage Command, Photo No. NH 44557 via Mike Green. 995k Bow view of the O-11 (SS-72), R-21 (SS-98), R-22 (SS-99), R-24 (SS-101) & R-27 (SS-104) at the Lake Torpedo Boat Company shipyard, Bridgeport, Connecticut on 7 October 1918. US National Archives photo # 19 lc 1154 from NARA, College Park, Maryland, courtesy of Sean Hert. 238k From inboard to outboard: O-11 (SS-72), O-13 (SS-74), O-14 (SS-75), O-15 (SS-76), O-16 (SS-77), and O-12 (SS-73), at the Washington D.C. Navy Yard, circa 1918-24. USN photo # 80-G-1024950, from the National Archives and Records Administration (NARA), courtesy of Daniel Dunham. From inboard to outboard: unidentified O boat, O-11 (SS-72), O-12 (SS-73), O-16 (SS-77) & O-14 (SS-75). USN photo submitted by Charles Worcester.